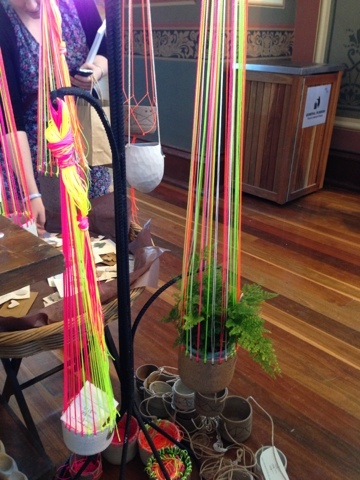 200 designers showcased in one space...I was in Australian design heaven! 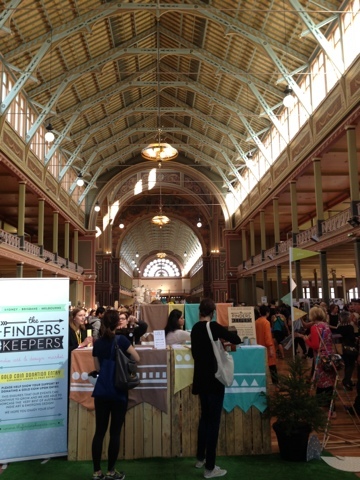 On Saturday I headed to the Finders Keepers Market at the Royal Exhibition building. 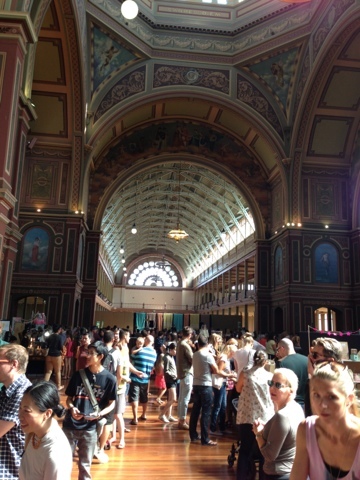 The market had a great vibe with live music, the Frankie caravan and fairy floss all in the grand surroundings of the Exhibition building. I love how this market has such a large amount of designers in one spot and continues to have new emerging designers featured in each market. 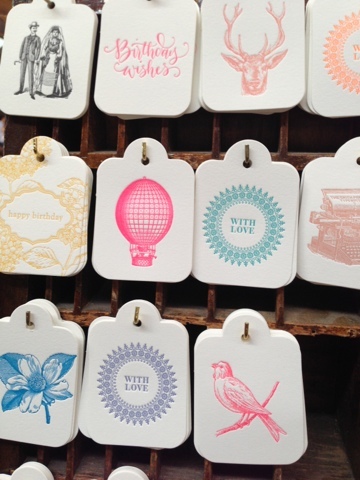 It really is great to see new market holders at these markets, some of whom released their very first ranges at the market. 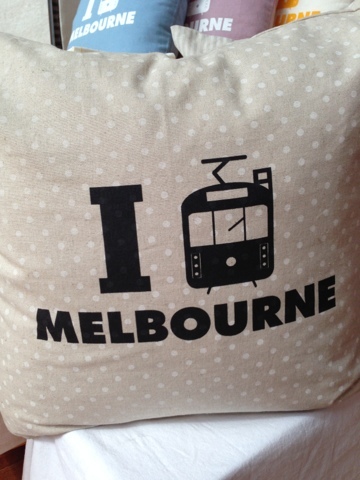 I felt like I was at the 'frontline' of Australian design. 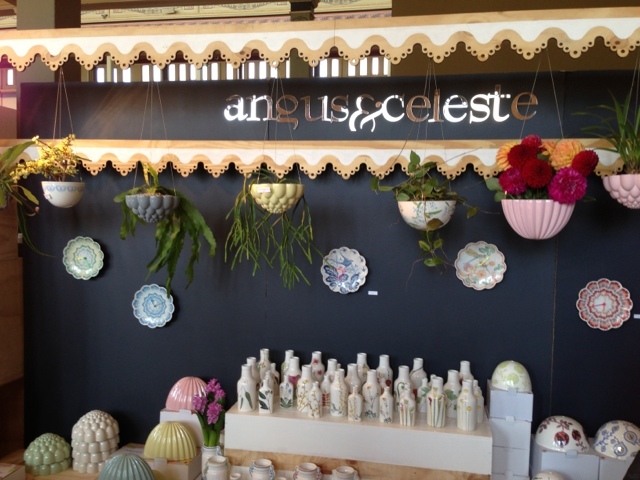 Everything was covered from accessories, to homewares, craft products, paper goods and even live music. 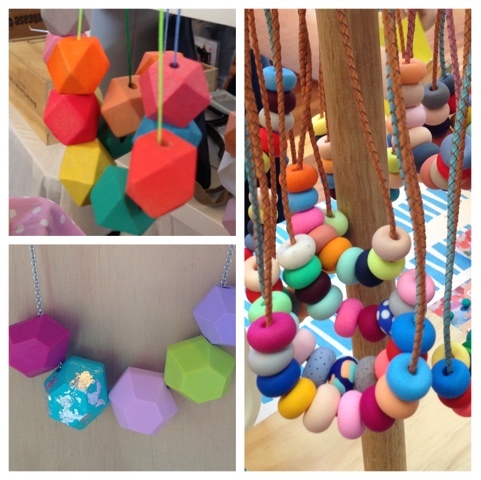 Trending was lots of brightly coloured cushions, neon and pastel accessories, lots of fluro pink and orange and lots of hand-formed polymer clay necklaces and bangles in vibrant colours and shapes. 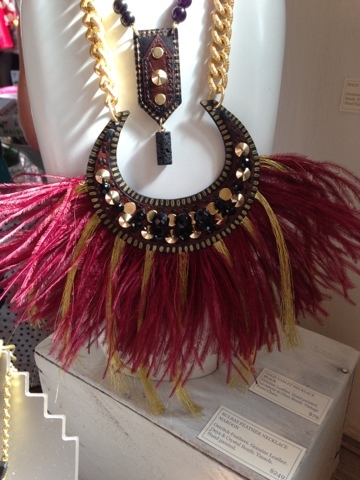 Emily Green has always been the stand out in these clay beaded necklaces. Check out the pics below of all the candy coloured necklaces I saw on the day and the gorgeous pillows I was loving by Dan300. 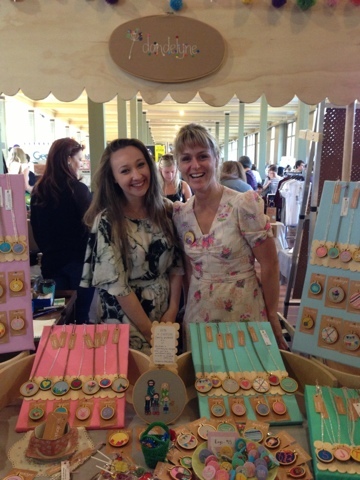 Some of the more fun and unique products I spied on the day included colourful and fun necklaces, brooches and rings, framed by a one of a kind miniature embroidery hoop from the adorable Dandelyne. 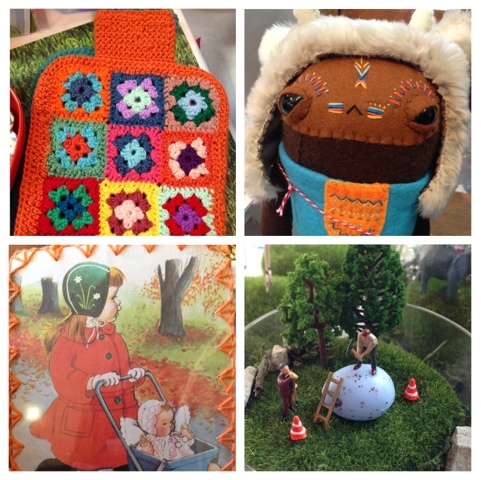 Sonia, the designer embroidered/appliqued retro glam-avans, bicycles, teapots, knitting yarn and needles, bunting, dandelion parachutes, mountains, clouds, embroidery stitches...She can even custom design a hoop for you to wear of someone you love or embroidered your whole family on a bigger hoop. I have a mountain design necklace on order. I love this wearable craft. 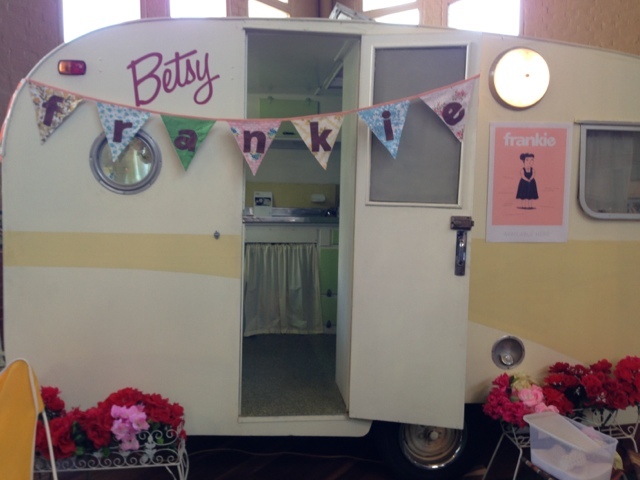 Other unique products included the very well established Betty Jo designs which includes recycled vintage linoleum, pre-loved buttons and antique embroidered doilies which are then turned into keepsake brooches, pendants and clocks (which Ben Sherman decked his shop out with in the past). 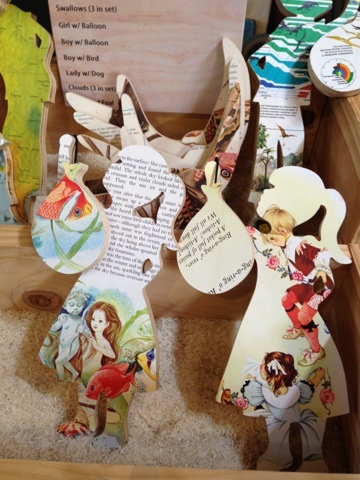 I also loved the quirkiness of Cat Rabbit, which are felt versions of the designers illustrated characters. Nerdy rabbits, frightened raccoons, well-dressed badgers and thoughtful foxes feature highly in her range of super friendly and collectable plush toys, embroidered and wooden jewelry and printed fabric products. Some cute pics are below. 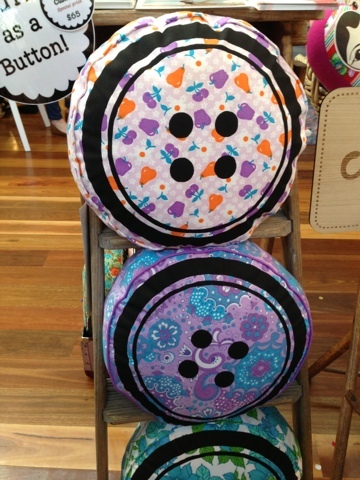 DIY was also trending at the market. 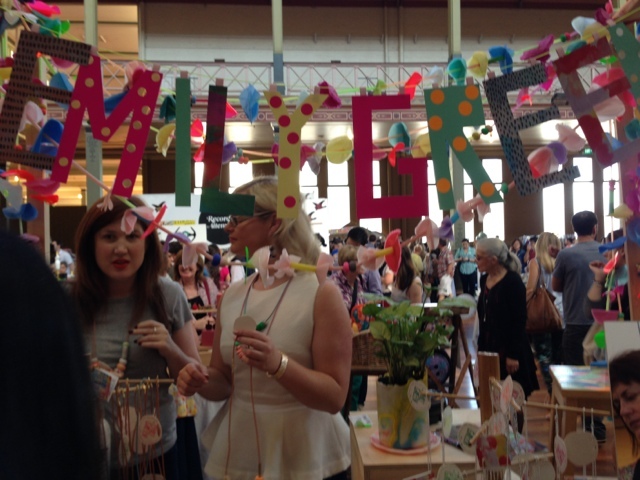 There was embroidery and craft kits on sale from the beautifully laid out Morgan Wills stall, DIY hot air balloon mobiles by Craft Shmaft . 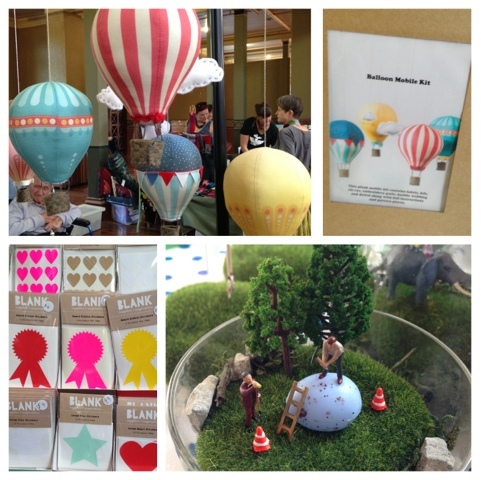 BLANK had a range of packaging and project supplies, such as gift boxes, bags, wrapping and craft, party and play supplies to inspire you to create and decorate just the way you like. 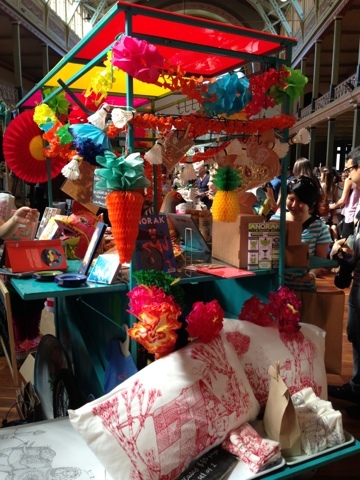 Finally there was the fun and popular terrerium DIY kits which were just delightful by Love and clutter. 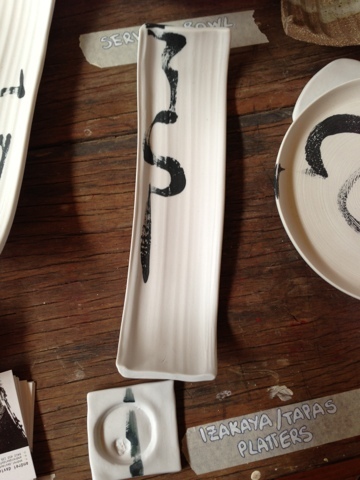 I took home a chic white ceramic sushi/tapas patter with a black streak by Andrei Davidoff. Perfect for Japanese themed dinners. 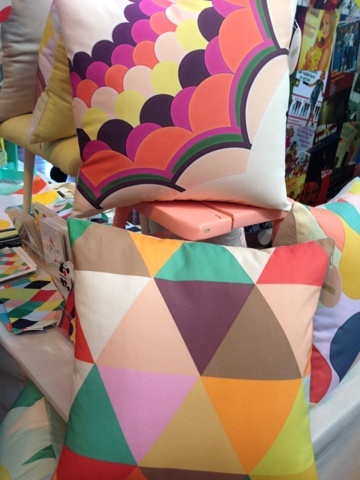 The market showcased pattern, originality, quality and colour! 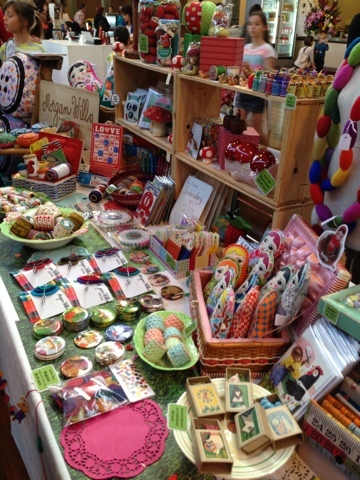 Products were fresh, bright, unique and cheery. 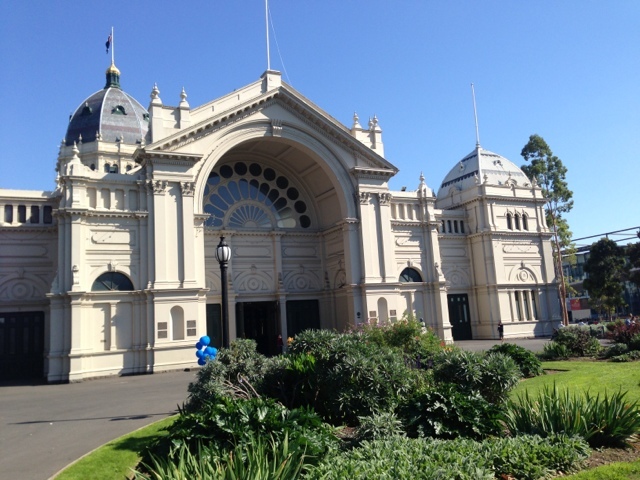 You can also view more pics on instagram @finderskeepers or #melbournefinderskeepers or #thefinderskeepers @twineysworkshop also has some fun pics of the day. 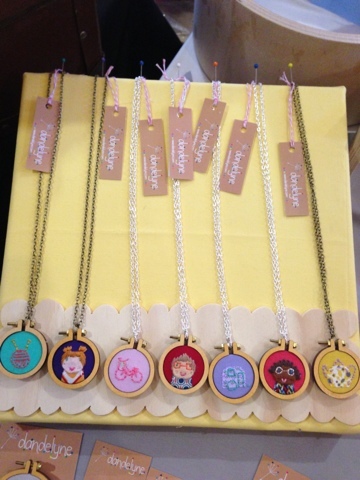 more mini wearable hoop necklaces. I love the custom made people..
Polymer necklaces in different shapes and candy colours..